I’m thinking of the libertarian political philosophy in connection with Libertarian presidential candidate Gary Johnson’s failure to respond quickly and appropriately to a question about Aleppo, a large and ancient city in Syria being destroyed by the civil war going on there. The interesting thing about that question of an avowed Libertarian and his failure to answer it is that, had we been operating under a Libertarian philosophy for the last hundred years or so, we would not have played a role in the dividing up of Europe and the Middle East following WWII, would not have gone to war in Vietnam, and would not have had a draft except for WWII. We would not have earned the hate of Muslim nations, we would not have suffered the 911 assault, we would not have invaded Iraq or Afghanistan, and we would have no involvement whatsoever in any civil war going on in Syria. In fact, without our involvement over the past decades, there might not even be a civil war going on there. So, it is not surprising that Aleppo is not top of mind for Mr. Johnson. Unfortunately, it is an issue he would have to deal with, because of our past sins, if he were to become president. Here is an interesting thought. If we had been Libertarian 150 years ago, we would not have suffered the Civil War with 600,000 killed followed by 150 years of hate and resentment that still continue. The seven southern states would have been allowed to exercise their constitutional right to change their government, just as the USA had fought for and exercised the same right to change its government in 1776 and had enshrined that right in its founding documents. The Fugitive Slave Laws would have been repealed, the south would have been boycotted, and slavery would have quickly died a natural death. Over time, the South and North would have become strong partners just as the US and Canada are and might have even reunified. Lincoln was no Libertarian. This is not to suggest that, under libertarian philosophy, we would be a weak nation failing to respond to such as the bombing of Pearl Harbor and the 911 attacks. We would have a national defense so strong that nobody would mess with us. We would have universal military training and be disciplined and armed as are the Swiss people. In the rare case of such as the 911 attacks, we would covertly search out and assassinate the perpetrators much as Israel apparently did with the Munich Olympics terrorists. And we would have very tight borders, inviting all who support our philosophy to enter and work and turning away all others. We would have no central bank, minimally inflated currency, little or no national debt, no inflated asset values, and much less inequality. We would be a nation motivated by saving and investing and working rather than by consumption, materialism and government checks. We would be focused on working together to address problems and issues and opportunities in our own communities rather than competing for federal funds with strings attached. We would be thousands of Mayberry RFDs, thousands of points of light. We would view our presidents as faithful servants, making personal sacrifices to serve, rather than as saviors or kings wielding power and positioning themselves for wealth accumulation after leaving office. It is probably too late to even talk about such freedoms with half of us now receiving checks from the federal government, only about half of us with earned income, and almost none of us with the capability of getting along without grocery stores and restaurants and iPhones. We were essentially libertarian until the Civil War, even as the struggle between big government Hamiltonians and small government Jacksonians progressed. It was Lincoln who established big government and declared victory for the Hamiltonians. It was G. K. Chesterton who wrote that, “The Christian ideal has not been tried and found wanting. It has been found difficult; and left untried.” I believe the same could be said of libertarianism. What a shame that we did not set the perfect example of personal freedom and responsibility for the rest of the world instead of going about stirring up trouble here and there. Now we are stuck with worrying about Aleppo as our debt soars, our infrastructure crumbles, and our economy stumbles. Mrs. Clinton knows all about Aleppo, but she is no better equipped to solve the problem than is Governor Johnson. Note: All history is slanted and is generally written by the victors of the struggles. The big government faction defeated the libertarians in the USA, and it is normal and expected that most history texts explain how the decisions made along the way leading to that result were the correct decisions. 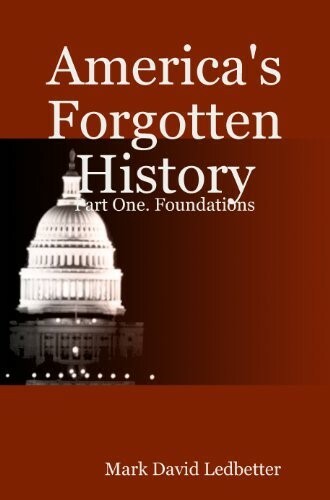 For a very enjoyable and informative read about how maybe those decisions were not correct, check out America’s Forgotten History by Mark David Ledbetter. There are three volumes with two yet to come, each only $1.50 in Amazon Kindle Versions. I’ve read Volume 2 and started Volume 1. Mrs. Clinton knows all about Aleppo, but she is no better equipped to solve the problem than is Governor Johnson. Really. Anyone who normally reads a newspaper is aware of the conditions in Allepo. If Mr. Johnson is a typical Libertarian, then we are fortunate that they have so little influence. Well, the point was that under a long term libertarian governing philosophy we would not be faced with dealing with such as Aleppo and associated issues. With respect to Mrs. Clinton, the main question has to do with whether she is better equipped than the current President under whose influence the situation seems to have only worsened. I know that we are exceptional but I am amazed that some folks think that anything that happens around the world can be solved by the POTUS. The ISIS situation in Syria has improved from where it was a year ago.